Pyongyang will suspend Chinese tour group visits to North Korea ahead of a high profile anniversary next month, according to news reports Saturday. The North's Korea International Youth Travel Agency told a Chinese tourist agency that hotels in Pyongyang would be closed for renovations for 20 days starting Saturday, according to South Korean media reports. Another North Korean travel agency informed their Chinese partner that an unspecified "state decision" meant they had to stop receiving Chinese tour group package travellers until September 5, the reports said. [post_ads]The latest measures come as the North prepares to mark the 70th anniversary of the foundation of the government. Between 1,000 and 2,000 tourists are currently visiting popular sites such as the North's side of the demilitarized zone in a single day, NK News, an online news provider, said. 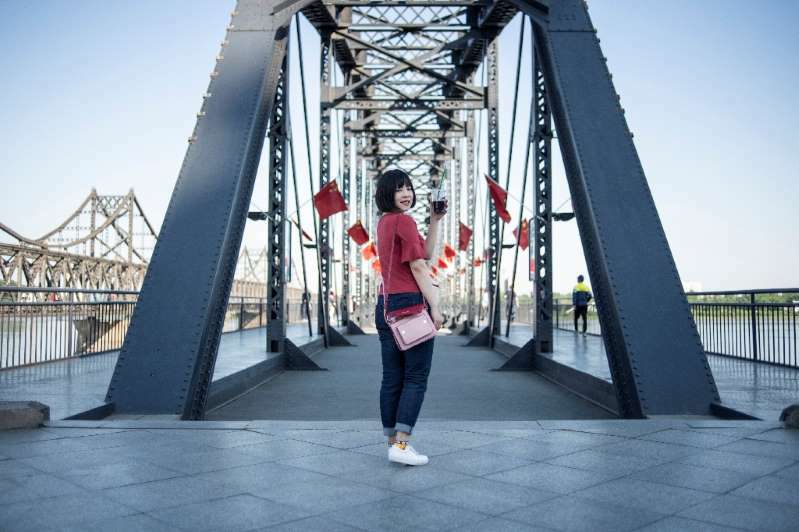 The surge in Chinese tourism may have been seen by North Korean authorities as straining Pyongyang's limited hotel infrastructure ahead of the anniversary, it added. YTN TV quoted a military official as saying that soldiers and weapons were converging on Mirim military airport near Pyongyang to practice a military parade. A satellite picture showed massive camouflage hangars have been put up, sparking speculation that the North might be hiding long-range missile transport and launch vehicles. Similar camouflage hangars were seen in January when the North was preparing for a military parade to mark a military anniversary the following month. The North at that time showcased what appeared to be its two newest intercontinental ballistic missiles, the Hwasong-14 and Hwasong-15. "The hangars look large enough to conceal ICBMs" Shin Jong-woo, a defence analyst, told YTN. The 70th anniversary comes during a rare diplomatic detente on the Korean peninsula. At a historic summit with President Trump in June in Singapore, Kim made a vague commitment to denuclearisation -- although it was far from the longstanding US demand for the complete, verifiable and irreversible dismantling of Pyongyang's atomic arsenal.